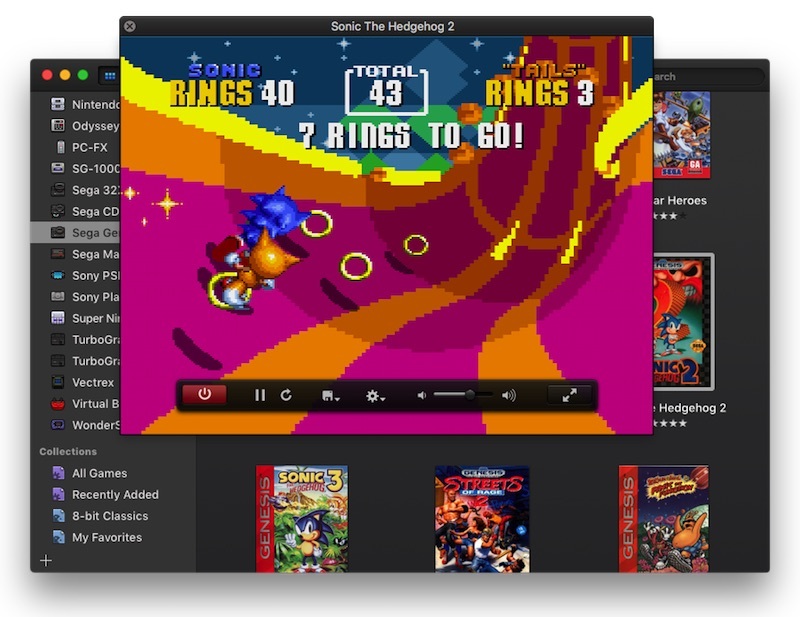 OS X’s best emulator just received a huge update. We first covered OpenEmu all the way back when it first released in late 2013, and the venerable emulator received arguably its biggest update since that very first release. Initially, the application supported a variety of 8 and 16-bit including Game Boy, GameBoy Color, Game Boy Advance, Game Gear, NeoGeo Pocket, Nintendo Entertainment System, Sega Genesis, and Super Nintendo. Now, in a welcomed Christmas update, OpenEmu has jumped into the 32 and 64-bit era. That’s right, N64 and PSX support (and Atari Lynx, Sony PSP, and Vectrex). That’s an insanely impressive list of consoles, which have way too many games for any one person to play in their lifetime. The emulator has also received a gorgeous new interface in this latest version, over 80 homebrew titles (because you should only be download ROMs of titles that you actually own), will now auto-map controls to the SteelSeries Nimbus and Stratus XL controllers, real time gameplay rewinding (whoah), and more. You can take a look at the full changelog right here. It’s pretty crazy that as vast and beautiful as today’s video games are getting (including mobile), I’m always hankering to play those classics that I grew up with over and over (and over) again. I’ve been having an absolute blast with Provenance on my new Apple TV, and as Provenance uses some code from OpenEmu, it would be incredible to play PSX and N64 games on the Apple TV, too! You can get the latest version of OpenEmu right here, and be sure to let us know what you plan to play first!